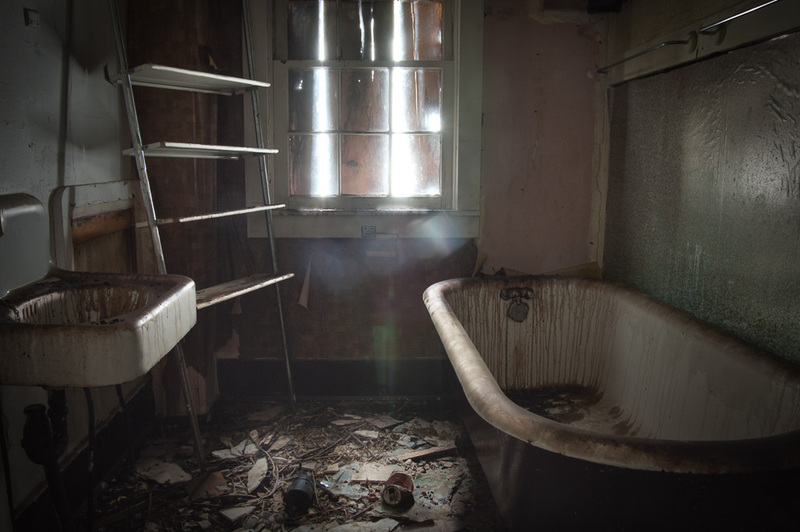 Dust mixed with a tiny amount of moisture has created a dramatic, and disturbing, effect across the surfaces of the bath and sink. The cracks of light coming through the boarded window were bonus in this scene. I can almost see in this image the miner returning from a hard day in the mines, getting cleaned up before he sits down with his family.